Posted on November 16, 2017 at 2:07 pm. APS requests community assistance with shaping and expanding the naming criteria in the APS Naming Policy for current and future school facilities! This is the first step in the process to revise the existing policy so that it reflects the views of the Arlington community. Please ensure your voice is heard! 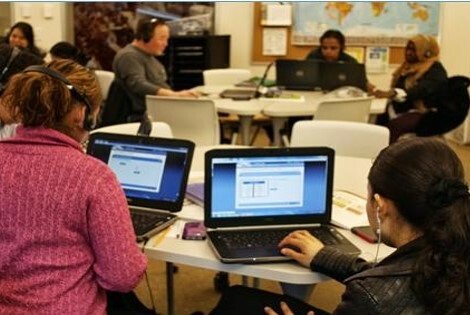 For those who would like to provide input to help shape the revised policy, there is a brief online form available at https://survey.k12insight.com/r/5AYRQh. The survey will be open until Fri, Dec. 8. Tue, Nov. 28 at 6:30 p.m. Sat, Dec. 2 at 10 a.m., 11 a.m. and 2 p.m.
Space is limited, so please register at www.eventbrite.com/e/aps-school-naming-criteria-community-meetings-tickets-39955940293. 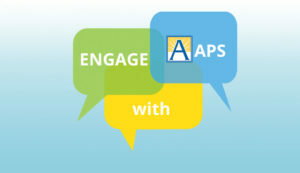 For any questions, please write to APS at engage@apsva.us or the SCAR team at scargmuaps@gmail.com. 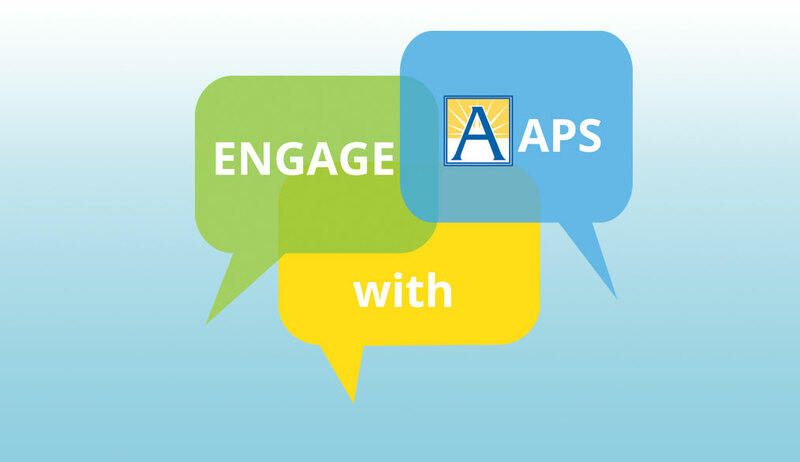 APS hosted a community discussion on Nov. 15 to provide information and get input to develop APS guidelines for how digital devices such as ipads and laptops—issued to students in grades 2-12—are used to support best instructional practices. Participants reviewed current APS policies, as well as sample policies from other school districts, and discussed ideas in small groups. The community can provide input by completing an online form available at www.apsva.us/engage/acceptable-use/ through December 1. The staff presentation and supporting documents are also available on this webpage. School Board action on this initiative is scheduled for Jan. 18, 2018. Superintendent Dr. Murphy presented a recommendation for middle school boundaries to the School Board on Nov. 14. 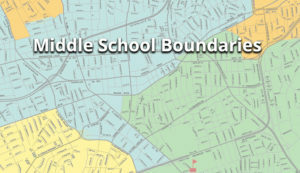 The community can view the recommended boundary map and related information at www.apsva.us/engage. 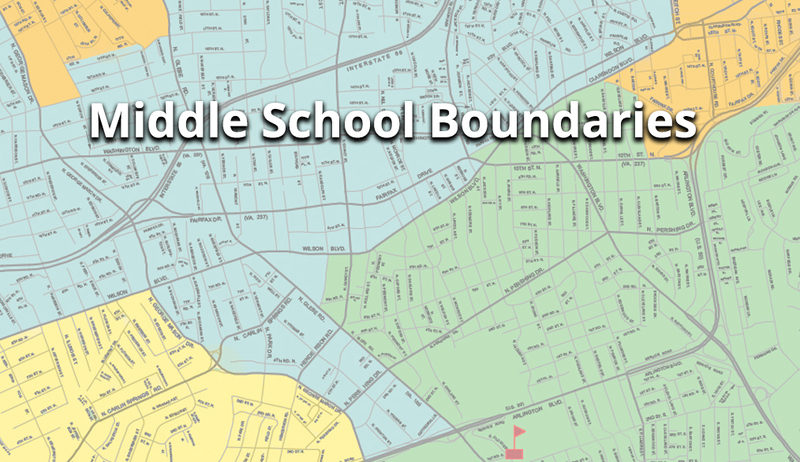 Residents who’d like to comment on middle school boundaries can speak at a School Board Public Hearing on Thurs, Nov. 30. School Board meetings are held at 6:30 p.m. at the Education Center (1426 N. Quincy St.), with the citizen comment period scheduled to begin at 7 p.m. For information about speaking at a School Board meeting, visit www.apsva.us/school-board-meetings/sign-up-to-speak/. School Board action on this initiative is scheduled for Thurs, Dec. 14. The School Board will discuss the FY 2019-28 CIP Framework as part of the agenda at a work session on Nov. 28 and as an information item at the School Board meeting on Nov. 30. To view School Board meetings and work sessions online, visit www.apsva.us/school-board-meetings/school-board-work-sessions-meetings/. For more information about the CIP, visit www.apsva.us/engage/capital-improvement-plan-cip/.